In 1870, Dr. Benjamin Franklin Goodrich founded the first rubber company in North America. In 1896, BFGoodrich became the first tire manufacturer in American automobile history. They would later go on to make many innovations in the field, particularly with the invention of the run-flat tire and the first 24-inch tire. Since the beginning of its existence, BFG has stood out for its drive to go beyond performance limits, and it is with that mindset that many important advances in the field were made. BF Goodrich Tire offers the Winter Slalom KSI, a winter tire that offers excellent traction on snow and ice. The Winter Slalom KSI suits cars, SUVs, vans, pick-up trucks, 4x4s and jeeps. LT and T/A tires will be accepted in Quebec during winter until 2014. Therefore, LT-size BF Goodrich Commercial T/A All Season tires are allowed. Furthermore, BF Goodrich All Terrain T/A KO, Mud-Terrain T/A KM and Mud-Terrain T/A KM2 off-road tires are allowed for jeeps, pick-up trucks and 4x4s during winter. BF Goodrich winter and off-road tires have been developed over the years concurrently with international off-road racing. Since 1972, BF Goodrich has been participating in races such as the Baja 1000, the Paris Dakar and other winter competitions. BFG tires were thus tested and improved in the field, sustaining difficult conditions. 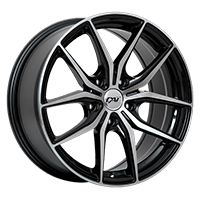 BFGoodrich Tire offers a complete range of summer and all season tires designed for sedans, sports coupes and SUVs. In general, BFGoodrich summer and all season tires offer good durability and have good traction in both wet and dry conditions. BFGoodrich has good quality all season car tires like the Radial T/A tire. 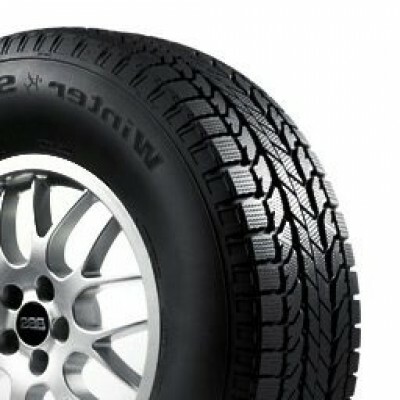 They also have all season tires for sport utility vehicles, such as the Rugged Trail T/A and the Long Trail T/A Tour. The BFGoodrich summer car tire category includes: the g-Force Sport and the g-Force Super Sport A/S. BFGoodrich understands the needs of truck, van, pickup and jeep 4x4 drivers. BFGoodrich has all season tires for long hauls, city driving, commercial use or off-road driving. BFGoodrich tires used for on-road driving, like the Commercial T/A All Seasonor the Radial Long Trail T/A offer good durability. BFGoodrich off-road tires are well-known for their excellent traction in difficult conditions. The All-Terrain T/A KO, Krawler T/A KX and Mud-Terrain T/A KM2 are all good mud tires and fare well on rocky terrains, making them the perfect choice for truck, pickup or jeep 4x4 drivers. In 1972, BFGoodrich won the legendary off-road car race of the era: La Baja 1000. In 1977, BFGoodrich made its entrance in the American off-road competition world and became one of the leaders. However, they got their real award in 1999 with their first Paris Dakar victory. Some other significant dates for the off-road tire manufacturer, BFGoodrich, are: 2007 – 10 victories at the Rally World Tour, 2008 – La Baja 1000, once again. BFGoodrich Tire has a wide range of high-performance summer and all season tires with good traction in wet and dry conditions. BFGoodrich high-performance summer and all season tires are great for cars and, in certain sizes, for sport utility vehicles and pickup trucks. BFGoodrich offers high-performance summer tires, like the g-Force Sport and the g-Force T/A KDW. 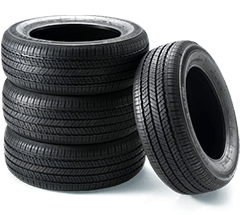 Summer performance tires offer better traction than all season performance tires, but tend to be a bit less durable. BFGoodrich also offers high-performance all season tires like the g-Force Super Sport A/S H/V, the g-Force T/A KDWS and the Radial T/A, all are efficient in temperatures as low as -7 degrees Celsius and are more durable than high-performance summer tires. In 2008, BFGoodrich participated in the Drift Competition in Canada for the first time. The BFGoodrich Drift Team drove the Canadian raceways in pursuit of a thrill. Skidding around tight corners, BFGoodrich tires were pushed to the max! For more than 30 years, BFG has been testing their performance tires in all categories of competitions: oval racing, road racing, drifting and drag racing to make sure they always keep improving their products.